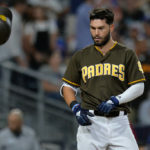 The San Diego Padres made a few moves on Monday as the team sent Allen Cordoba to Triple-A and announced that both Colin Rea and Christina Villianueva have been released from the team. 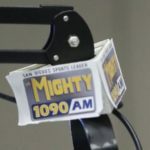 There will surely be more moves in the next month or so as the team restructures their roster for the 2019 season. 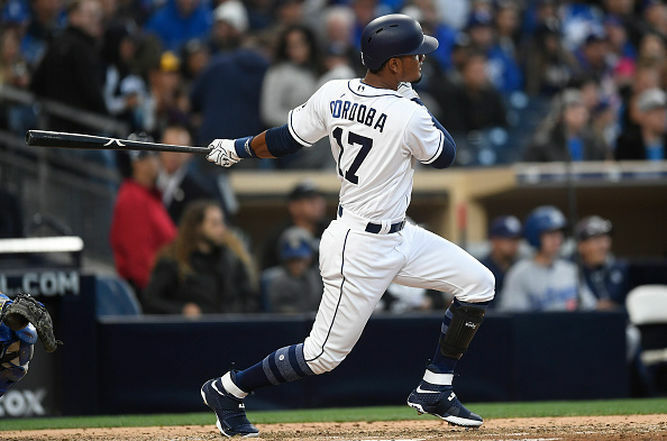 After releasing Cory Spangenberg earlier, the San Diego Padres have moved to outright Allen Cordoba to Triple-A, while formally announcing the release of Colin Rea and Christian Villanueva. As intended, Villanueva will be going to Japan to play for the Yomiuri Giants on a one-year contract. After being selected from the St.Louis Cardinals, Cordoba unsurprisingly struggled in 2017 against Major League pitching, hitting .208/.282/.297 through 227 trips to the plate while mostly playing in the outfield. 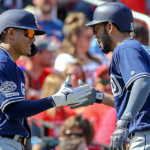 The Padres expected these struggles and kept him on the roster with the intention of letting him develop more in the minors along with fellow Rule 5 pick Luis Torrens. This wouldn’t come to be, a Cordoba got in a car crash in Spring Training of 2018 that gave him a concussion. Said concussion severely cost him during his sophomore season, causing him to only play in only 45 games at Lake Elsinore and collect a batting line of .206/.233/.310. 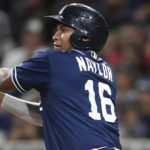 Thankfully for the Padres, he was able to pass through waiver unnoticed and will stick with the team, where they will continue to develop his skills after a year off to rest and recover. 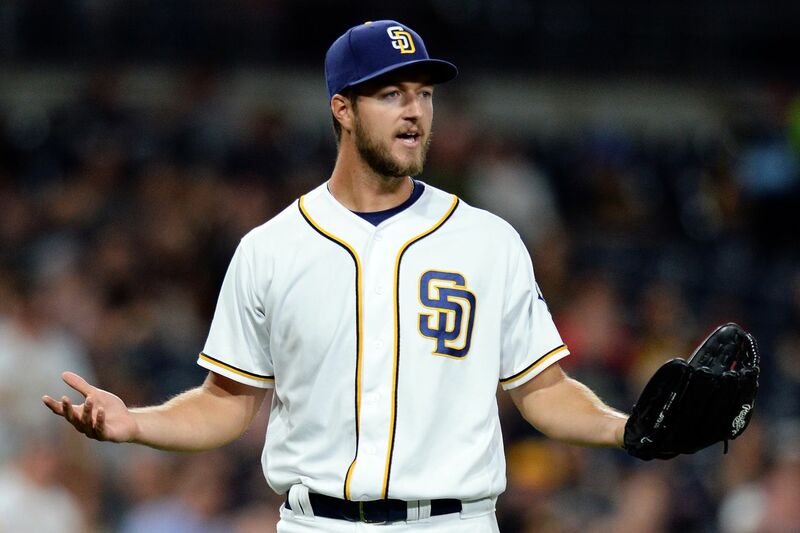 Rea hasn’t seen action the Majors since 2016, the year he was traded to the Miami Marlins then returned to San Diego after Miami cried foul on medical records provided by the Padres after Rea was injured in his Miami debut. The injury resulted in Tommy John surgery for Rea, who missed all of 2017 thanks to the surgery. 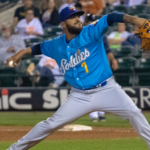 Rea made a comeback in 2018, but struggled in both Double-A and Triple-A, struggling to a combined 5.73 ERA with 8.4 K/9, 4.3 BB/9, 1.67 HR/9 and a roughly 41 percent ground-ball rate in 75 1/3 innings. His numbers in the Majors are a bit better at a 4.69 ERA with a 106-to-55 K/BB ratio in 134 1/3 innings. Rea still has four years of control left, so interested teams can sign him to a minor league deal with an invite to Spring Training if they want to bank on his potential. 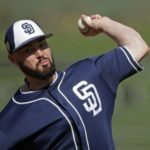 A surprise to be sure, Villanueva got his name called on the November 20th 40-man roster deadline as San Diego needed to clear space on their 40-man roster. Villanueva crushed lefties, hitting .336 off of them with 14 home runs, but struggled mightily against righties, batting only .189 and hit six home runs. All of this equaled out to a batting line of .236/.299/.450 with a strikeout rate of 27.1%. He will get a chance to prove he is more than a platoon player in Japan, where he will earn close to $3MM if he reaches all of his incentives. I’m sad to see Colin Rea go. But Tommy John surgery carries no guarantees. Some pitchers come back with increased velocity and quickly re-acquire what command and pitch effectiveness they had before the surgery, but Colin apparently lost too much to fulfill his promise. If he’s healthy, he’s not done yet, he can still work on a different style of pitch and maybe become a reliever or spot starter. 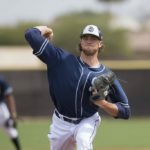 It’s just that the Padres’ evaluators didn’t see enough to keep him in the system with all the young pitchers coming up.